He went on to describe that at the present time, “globalization and technological progress have dramatically increased global trade and global wealth. It is true that the number of absolute poor has been reduced and that living conditions have improved all over the world but it is also true that globalization and technological progress together have been factors in the increase of inequality”. The 2017 High Level Political Forum (HLPF) provided an opportunity for Member States and other interested players, such as members of civil society, academia and the private sector, to share their experiences and opinions on implementation of the 2030 Agenda’s Sustainable Development Goals (SDGs). Inputs to this year’s HLPF were manifold and included, in addition to the 2017 SDG progress report of the UN Secretary-General: Voluntary National Reviews (VNRs) from 43 Member States; reports from regional commissions and Economic and Social Council (ECOSOC) functional commissions; and reports from Major Groups and other stakeholders. Among additional inputs were the Ten Year Framework of Programmes (10YFP) on sustainable consumption and production; the Secretary-General’s report on mainstreaming sustainable development into the UN system; the Development Cooperation Forum summary; the report of the ECOSOC Forum on financing for development follow-up; the outcome of the Science, Technology and Innovation Forum, and Oceans Conference; and independent reports from all sectors, including the Spotlight report of the Civil Society Reflection Group on the 2030 Agenda for Sustainable Development. While almost two years into the ‘implementation phase’ of the 2030 Agenda, the 43 countries reporting presented their plans and visions in either a panel or individual presentation format. Though it is fair to say that at this stage most could only be reporting on one year of work, civil society participants pointed to the lack of substantive issues addressed, particularly the obstacles and contradictory policies that in many cases undermine countries’ ability to achieve the SDGs. The Center for Economic and Social Rights (CESR), reflected “allocation of resources reveals real priorities and there was no evidence presented in the VNRs of the SDG-aligned budgets and progressive tax reforms needed to reverse the rising inequalities”. Nevertheless, there was a high degree of interest in the VNRs and the presentations were well attended and full of energy. Many developing countries or Least Developed Countries (LDCs) noted the importance of the VNRs as a universal and inclusive platform for their countries to present national policies and gain insight from other countries’ experiences. In particular, the group of Small Island Developing States (SIDSs) indicated the importance of the VNR exchange to their development strategy – the SIDSs Accelerated Modalities of Action or SAMOA Pathway, adopted September 2014 as the outcome document of the SIDSs Conference. Some presentations (particularly those of the developed countries) emphasized the ways in which their national plans aligned with human rights and how they were addressing the underlying determinants of poverty and inequality. However, many presentations emphasized progress on SDGs favorable to their country’s political environment and capacity, rather than approaching them holistically, addressing the implications of their interlinkages and national strategies towards building capacity where there are gaps or weaknesses – one major reason for the failure of past development agendas. The 2017 HLPF produced a Joint Ministerial Declaration of the HLPF and ECOSOC High-level segment, which was adopted on the final day of the HLPF, following a few weeks of protracted negotiations co-facilitated by Permanent Representatives of Jamaica and Austria. A number of negotiating lines were drawn in the sand throughout the process including: innovative and blended financing; gender equality and Sexual and Reproductive Health and Rights (SRHR); the Paris Agreement on Climate Change; and universal acknowledgement of membership-based International Financial Institutions (IFIs) and International Organizations (IOs). Two areas of contention could not be resolved without a vote, which focused on two disputed paragraphs. The first vote was called for by Israel on paragraph 4, which refers to ‘people under foreign occupation’: 104 countries voted in favor of keeping the reference, 8 countries voted to remove it and 48 abstained. The second vote pertained to paragraph 21, addressing SDG 17 on the means of implementation including financing responsibilities. Some Member States, primarily in the global North, felt the language put too much emphasis on Official Development Assistance (ODA) and not enough on the role private entity financing could play, as well as the policy reach of the UN. 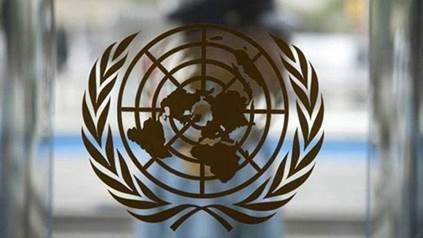 In calling for a vote on this paragraph, the USA cited as concern specifically the sentence: “We will continue to promote a universal, rules-based, open, transparent, predictable, inclusive, non-discriminatory and equitable multilateral trading system under the World Trade Organization, as well as meaningful trade liberalization”. The USA explained their view that ECOSOC does not have the authority to promote or influence the work of the World Trade Organization. A total of 112 countries voted to retain the paragraph, 1 country voted to remove it (USA) and 46 countries abstained. After the votes on paragraphs 4 and 21, the Declaration as a whole was adopted without a vote. Upon adoption, the President of ECOSOC emphasized the “primacy of the 2030 Agenda” – a carefully phrased statement for which many Member States thanked him. Emphasizing the primacy of the 2030 Agenda protects human rights language, left out of the 2017 Ministerial Declaration but which was committed to in the 2030 Agenda concerning SRHR – an issue of major importance for a number of Member States. This year two additional “Special Events” entitled “Partnerships Exchange” (where interested parties can sign up to implement voluntary actions to implement the SDGs, as exemplified at the Oceans Conference and SDG Financing Lab) and the “SDGs Business Forum” (following the trend of the UN to include private investments and action toward implementing the SDGs) supplemented the High-Level week of the forum. An overview of week one from Global Policy Forum and Social Watch, “We don’t need ‘Trillions’ to achieve the SDGs”, raised concerns about these trends, pointing out that relying on financial means alone to implement the SDGs represented a reductionist view. “It is important to question whether ‘trillions’ are really needed to achieve the goals. More fundamental are the policy and regulatory challenges”. Similar concerns were expressed about the way the HLPF approached the implementation of the 2030 Agenda. Many see the gap growing between aspirational goals and a lack of a comprehensive means of implementation. Some of these issues such as illicit financial flows, trade, pollution, climate change, the arms trade, tax havens and debt were all highlighted as pressing concerns. However, there was little space for serious analysis of these global policy issues that cannot be dealt with at the national or regional level alone. Could not the UN, with its comparative advantages of universal membership, norm and standard setting credibility, and convening power become/create the space to suggest potential solutions through collective action? The annual HLPF ‘follow-up and review’ process, while a disappointing substitute for a genuine accountability mechanism, is proving to be a dynamic space for civil society strategizing and solidarity-building, and for taking the ‘pulse’ of sustainable development discourse, ideas and challenges. However, there seemed to be more space for partnerships, business interests and voluntary approaches from well-resourced groups. The Forum functioned often as a market place: many events could be described as adding more sales potential than policy significance, addressing what is being done more than what is being neglected, emphasizing the private sector and de-emphasizing public space and responsibilities. As the UN Secretary-General pointed out, past optimism for a trickle-down effect from increasing wealth caused by globalization and technology was misplaced, as these factors, rather than leveling out inequalities in fact had increased them. The proliferation of partnerships with powerful for-profit entities, interpreted by some as essential to achieve the SDGs, could be seen as risking the failure of the whole Agenda. 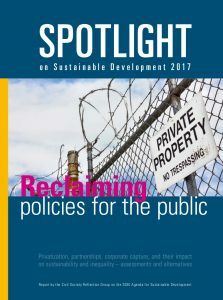 The 2017 Spotlight on Sustainable Development report emphasized that: “The problem of inequality simply cannot be solved by market-based solutions or attention-grabbing private sector initiatives; it requires serious efforts to transform power relations and resource distribution to stand any chance of success.” In other words, the world needs strong public policy. More information on the 2017 High-Level Political Forum, including inputs listed in the third and fourth paragraph, can be found at https://sustainabledevelopment.un.org/hlpf. Please find the United Nations Secretary-General António Guterres full statement at https://www.un.org/sg/en/content/sg/speeches/2017-07-17/secretary-generals-high-level-political-forum-remarks. 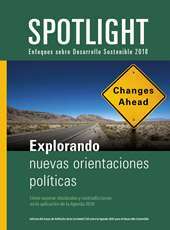 For the original Spotlight on Sustainable Development Report, see https://www.2030spotlight.org/en. The 2017 HLPF Ministerial Declaration can be found at https://papersmart.unmeetings.org/ecosoc/sessions/2017-high-level-political-forum-on-sustainable-development,-convened-under-the-auspices-of-the-council/documents/official-documents/e2017l29%E2%80%93ehlpf2017l2/.